Now, I am pretty sure he wasn’t referring to this particular place, but I think – as far as places in the woods go – this is a pretty good one! 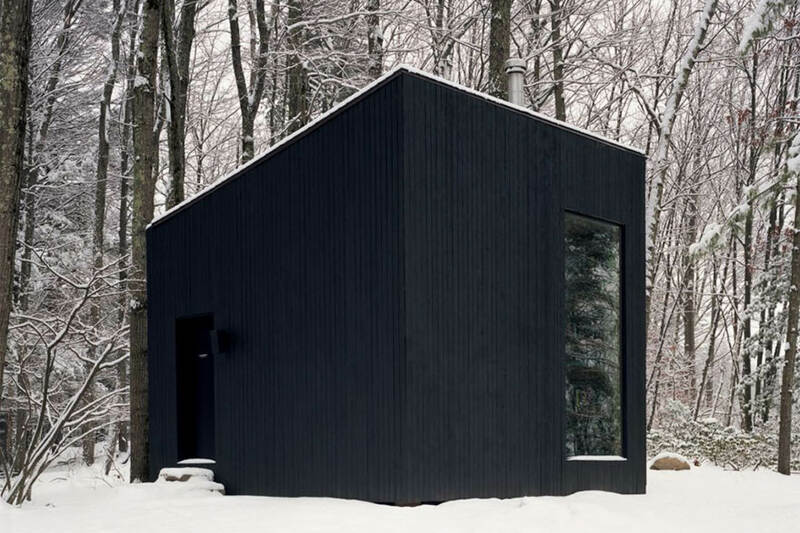 This secluded cabin, built in the woods of New York State by US firm Studio Padron, is called the Hemmelig Room (that’s Norwegian for ‘secret room’). 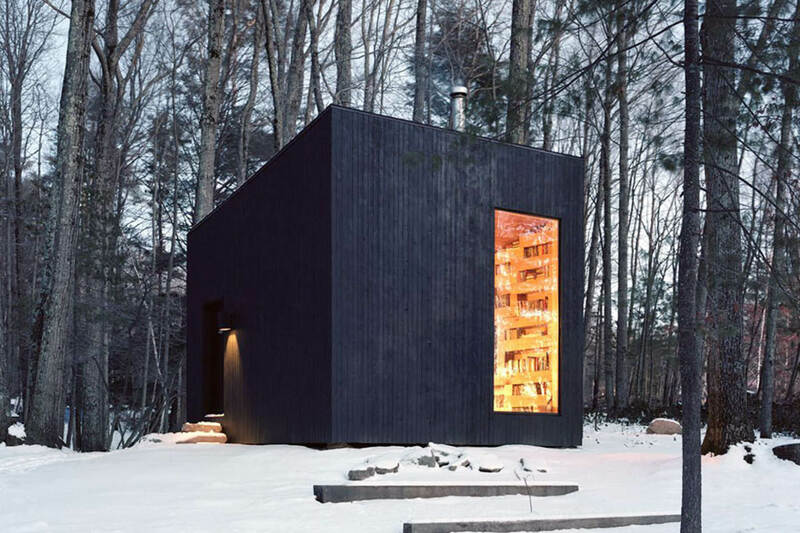 It’s a 200 square metre black cabin made from oak and inside you will find a bed, an armchair, a wood-burning stove and – perhaps most importantly – walls lined with books. I don’t know about you, but this is my idea of the most heavenly retreat! Originally, the space was built as a library – with the bed added to also be able to use the room as a guest house. The project utilised leftover timber that was felled on the property in order to build the main house. Much of what was used to build the room would have otherwise been thrown away as construction waste. The room took a long time from conception to construction as the timber was left to dry on the site for many years before the build started. 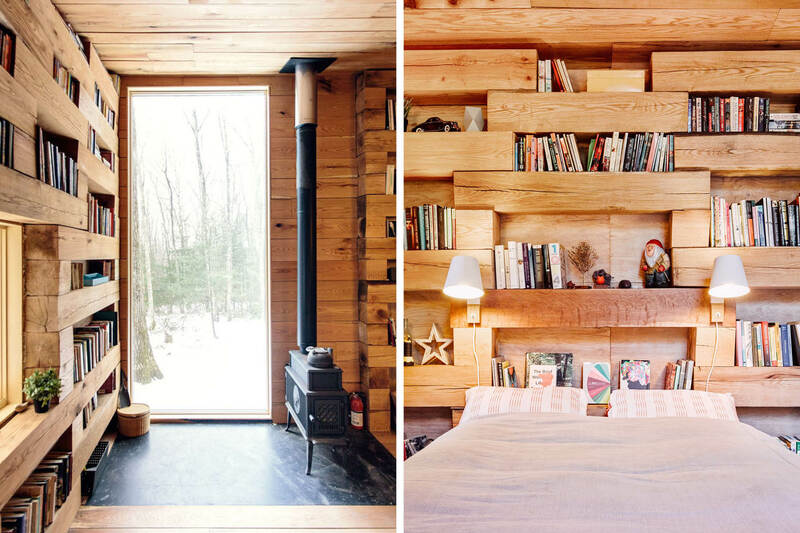 Piled on top of one another horizontally, the logs formed the cabin walls and the gaps between them served as bookshelves with larger gaps being used as windows. Innovative, eco-friendly and oh-so-cosy! 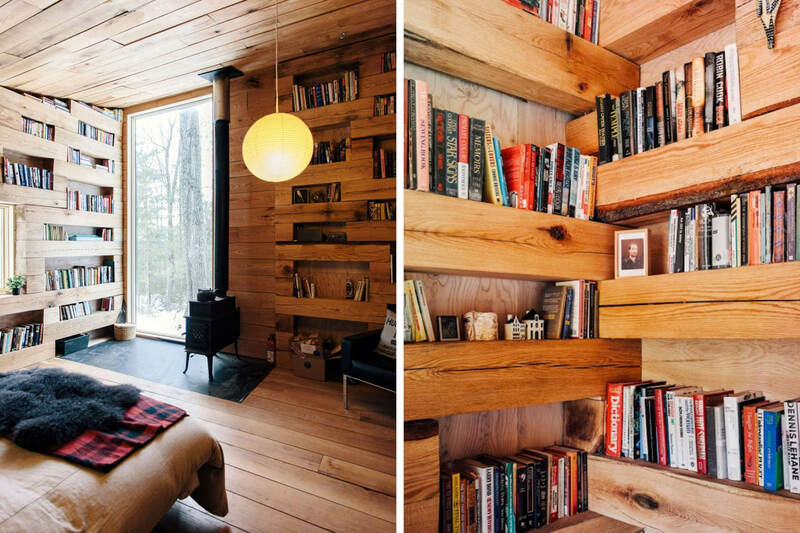 Can’t you just imagine hiding from the world in here? 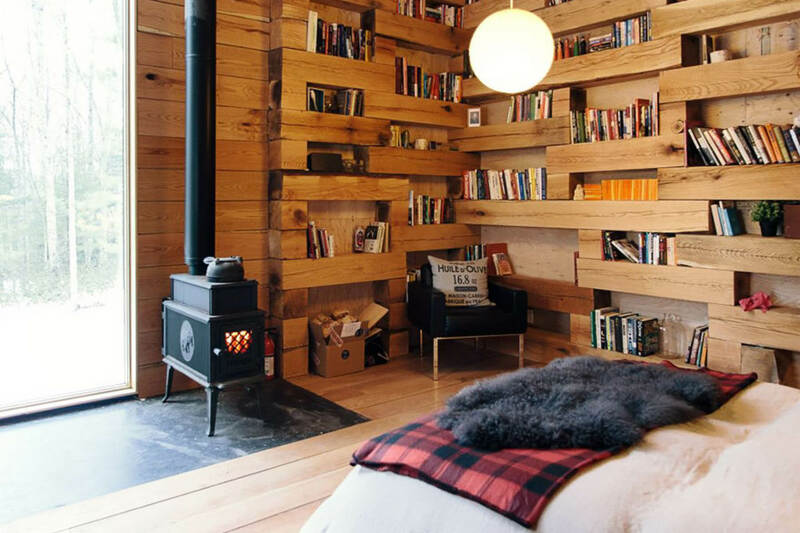 A warm fire, loads of books and views of the beautiful woods from every window. Sounds perfect to me. Images by Jason Koxvold for Studio Padron.